I’ve been wanting to make pizza rolls for about as long as I can remember. 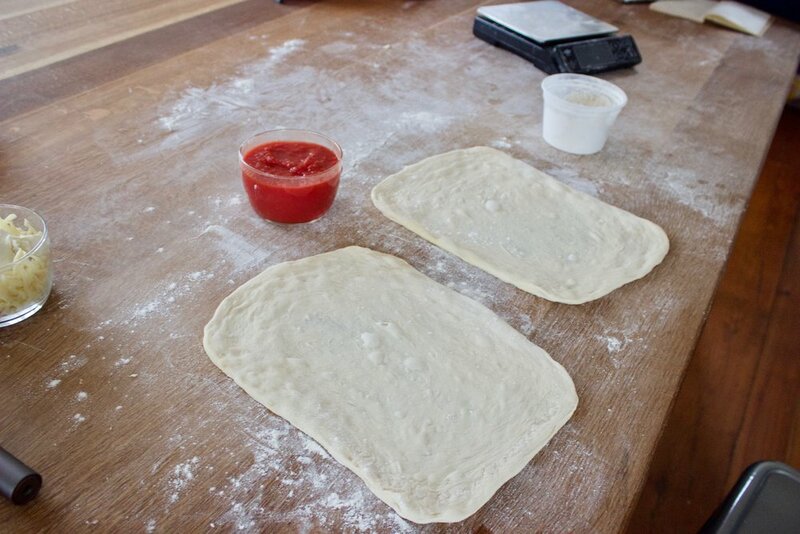 The technique is super simple, roll or stretch out your dough into a rectangle form and coat it with tomato sauce and cheese. Next roll and slice. You just need to be careful placing them on your hot Baking Steel. We placed our rolls on parchment paper first. Just to help with the launch and removal. Just keep in mind these pizza rolls come out of the oven piping hot. 1. Preheat your oven at 425 F with your Baking Steel on the top rack for one hour. 2. Stretch or roll out your pizza dough into a rectangle. Place dough on a piece of parchment paper, long side facing you. This is the way we are going to hand roll. 3. Distribute both the sauce and cheese over the entire surface. Carefully grab the ends, and begin to roll like you would a cigar. Roll both sides evenly until you get to the end. Pinch the seem with your fingers. 4. Using a serrated knife, make 1 inch slices about 10 of them per roll. Place each slice cut side down. We even dipped ours in semolina flour for added texture. 5. Slide a pizza paddle underneath the parchment and launch onto your Baking Steel. Bake for 15-18 minutes. Remove. 6. Any extra sauce is pretty awesome for dipping. Enjoy.